The financial industry’s fees amount to about 2 percent of a typical credit-card transaction, or 24 cents for debit. But big stores such as Amazon and Walmart Inc. have long been able to negotiate lower rates for themselves based on their massive sales volume. 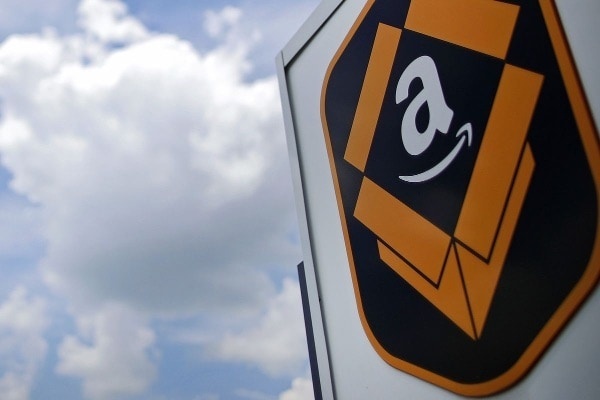 Now, Amazon is offering to pass its discount along to at least some smaller merchants if they agree to embrace its Amazon Pay service, said the people, who asked not to be identified because they aren’t authorized to discuss the plan publicly. Shares of PayPal dropped 4.1 percent Wednesday, the most since Feb. 8. Mobile payments company Square Inc. erased most of its 3.7 percent gain from earlier in the day, leaving the stock up less than 1 percent. Visa fell 0.9 percent. An Amazon spokeswoman declined to comment. It couldn’t be determined how many retailers have received Amazon’s offer for discounts. The company typically tests such initiatives before rolling them out broadly. Previously, online merchants using Amazon’s service have paid about 2.9 percent of each credit-card transaction plus 30 cents, which is divvied up among Amazon, card issuers and payment networks. As part of its experiment, Amazon is offering to negotiate lower fees with merchants making long-term commitments to use the service, according to one person familiar with the matter. Amazon is able to export the rates it has negotiated with banks and payment networks because, like PayPal, it’s acting as a so-called payments facilitator. That means it aggregates smaller merchants to help them reduce the cost of accepting electronic payments. Amazon Pay, which has attracted more than 30 million users since the company revived it in 2013, lets online shoppers log into their Amazon accounts from other websites, enabling them to complete the transaction using credit cards and delivery addresses already stored rather than having to enter them again. For Amazon, that means drawing additional revenue from e-commerce sales on other sites. The service mostly appeals to smaller merchants who benefit from the trust shoppers place in Amazon, as well as minimizing the data entry required to complete a mobile transaction. Customers include Gogo Inc., which provides in-flight internet access. Merchants aren’t eager, however, to share too much information with Amazon, which may compete with them to sell similar products on its own site. Amazon dominates the U.S. e-commerce market, with 43.5 percent of all sales in 2017, according to EMarketer Inc. PayPal has emphasized its status as a non-retail competitor to differentiate itself. Amazon Pay is among many products the company offers to get a piece of other retailers’ e-commerce revenue. Merchants selling goods on their own websites can let Amazon handle warehousing, packing and shipping for a fee. Many find it cheaper to pay Amazon for logistics than do it on their own because they benefit from Amazon’s volume shipping discounts. Amazon’s move is part of an escalating battle in the U.S. between traditional financial firms and technology giants to develop a dominant digital payments system — akin to what Jack Ma’s Alipay and Tencent Holdings Ltd.’s WeChat Pay have achieved in China. Last month, Visa and Mastercard said they’re teaming up on their own combined online checkout button, abandoning their separate Visa Checkout and Masterpass initiatives. For its part, Visa is betting there will be just one button at the online checkout in the future, Chief Executive Officer Al Kelly said on a conference call with analysts last month. The networks’ joint effort has been seen as a challenge to Amazon Pay, as well as to PayPal, which is considered the U.S. leader in digital wallets with 237 million global accounts.